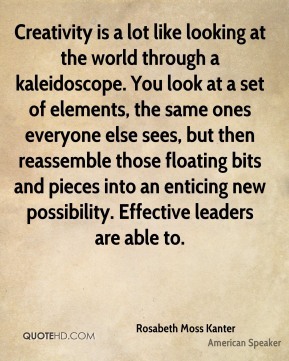 [Over the past five years, executive coaching has mushroomed from a sideline on the motivational and consulting circuits to an expected perk in virtually every executive suite. 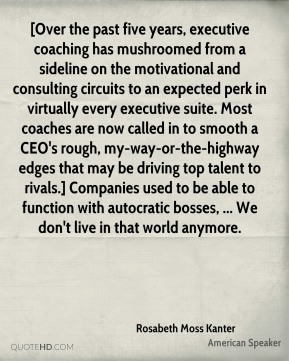 Most coaches are now called in to smooth a CEO's rough, my-way-or-the-highway edges that may be driving top talent to rivals.] 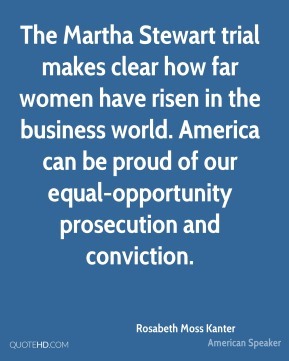 Companies used to be able to function with autocratic bosses, ... We don't live in that world anymore. 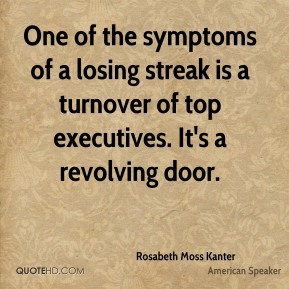 Boards and bosses may say they want change, but in fact they don't want too much disruption, controversy or agitation. 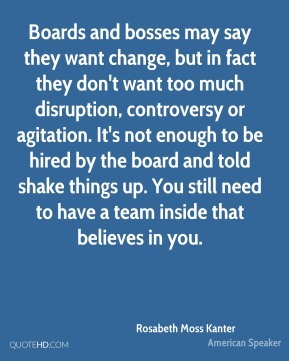 It's not enough to be hired by the board and told shake things up. You still need to have a team inside that believes in you. 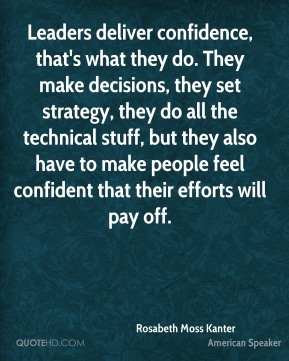 Leaders deliver confidence, that's what they do. 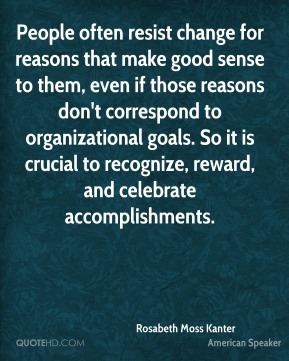 They make decisions, they set strategy, they do all the technical stuff, but they also have to make people feel confident that their efforts will pay off. 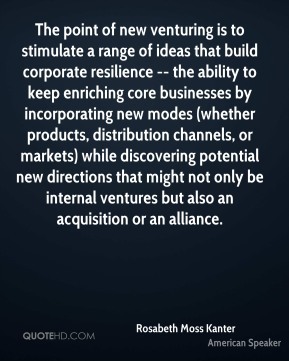 The point of new venturing is to stimulate a range of ideas that build corporate resilience -- the ability to keep enriching core businesses by incorporating new modes (whether products, distribution channels, or markets) while discovering potential new directions that might not only be internal ventures but also an acquisition or an alliance.